English is clearly the most widely spoken language in the world and in today’s shrinking world it is increasingly important that you become very fluent with and conversant with the English language. This app will help you do just that – by helping you to learn, master, improve competence / fluency and become more and more confident with English vocabulary. Expertise with English vocabulary is a must not just for you when preparing for an exam such as GMAT, GRE, TOEFL, IETS, ACT, SAT & ESL but also for everyday conversation and general everyday life. This app will help you build your confidence and command of English. 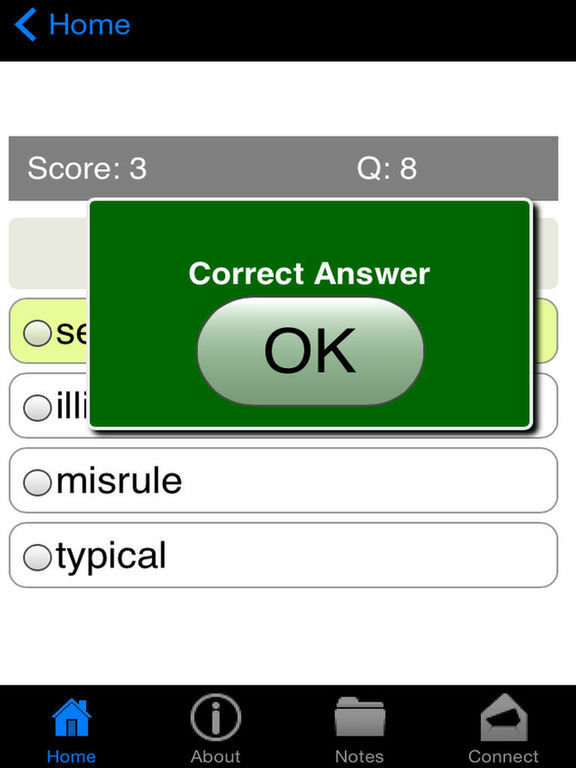 When you use this app, you will be able to test and verify your knowledge of English Vocabulary and Words. It's a great way for you to check what you have learned. 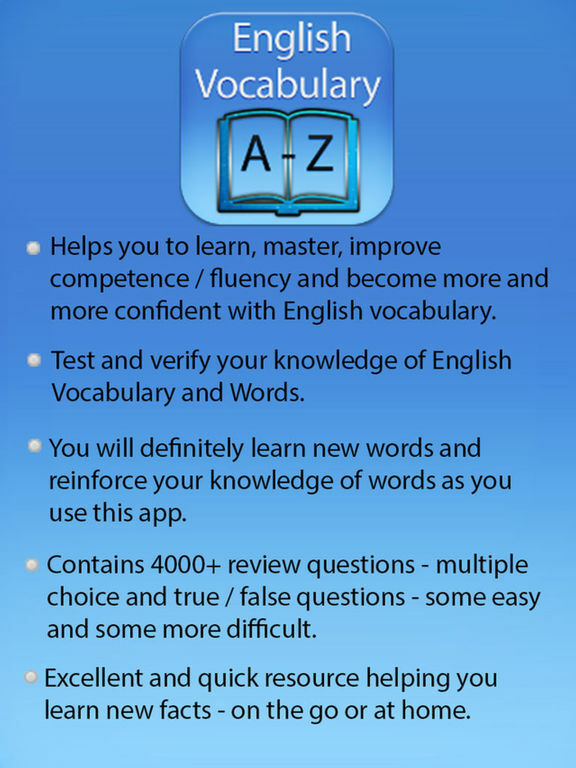 This app will help you improve or master your knowledge / command of English. It will help you revise your knowledge of English vocabulary and also learn new words. It will be extremely beneficial to even native English users (who speak English as a first language) because it will help you significantly increase your command of the English vocabulary. This app will also be extremely useful for anyone who is revising their knowledge of English vocabulary in preparation for an exam that includes English in one way or the other such as GMAT, GRE, TOEFL, IETS, ACT, SAT & ESL. It's great as practice app that you can use to test what you have learned or also as a refresher that you want to use as you prepare for or just before taking an exam. It helps you test your knowledge in preparation for exam day! This quiz provides over 4000 review questions covering a wide range of English Words - some easy and some more difficult. You will find out that some questions are easy while others are more difficult. Simply guess the answers for questions that are more difficult. 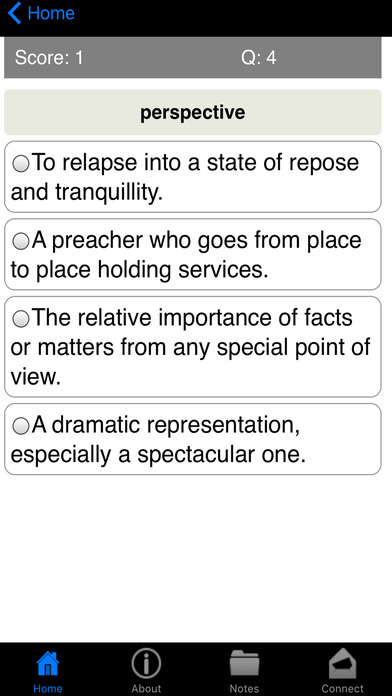 You can choose to answer 25, 50, 100, 200, 500 or 1000 questions. The questions will be randomized so that each time you take the quiz (for example 25 questions) you will get a different set of questions. At the end of the quiz, you will be shown the total number you got correct and your percentage score. 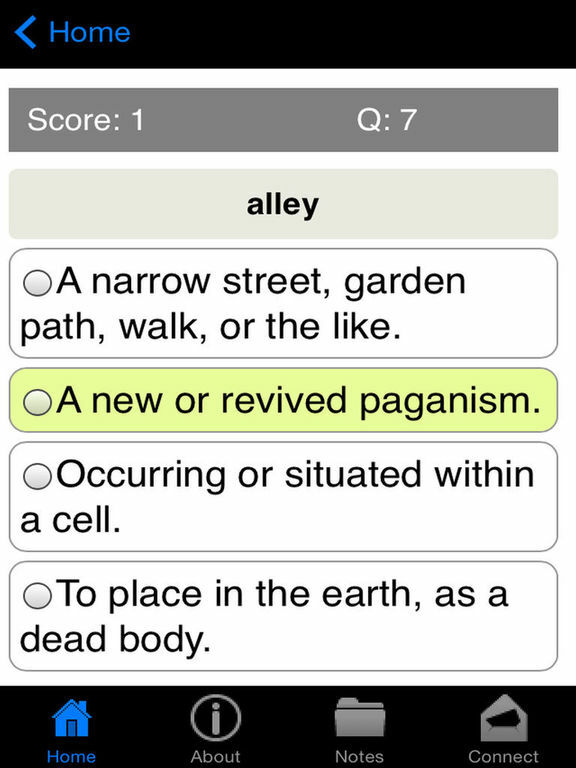 The app contains over 4000 questions - both true/false questions and multiple choice. It's great as practice app that you can use to test what you have learned or also as a refresher that you want to use as you prepare for or just before taking an exam. 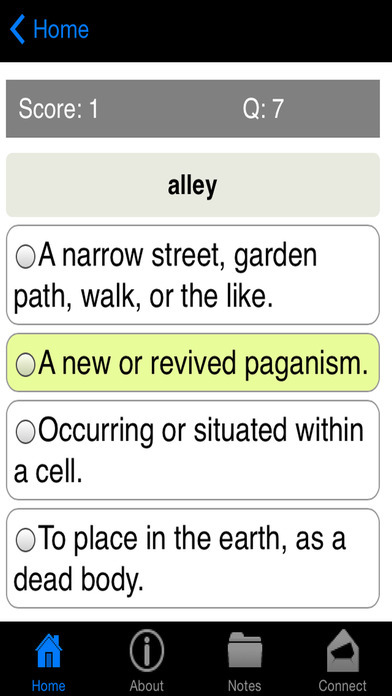 Try this unique English Vocabulary Quiz today and you’ll be glad you did!